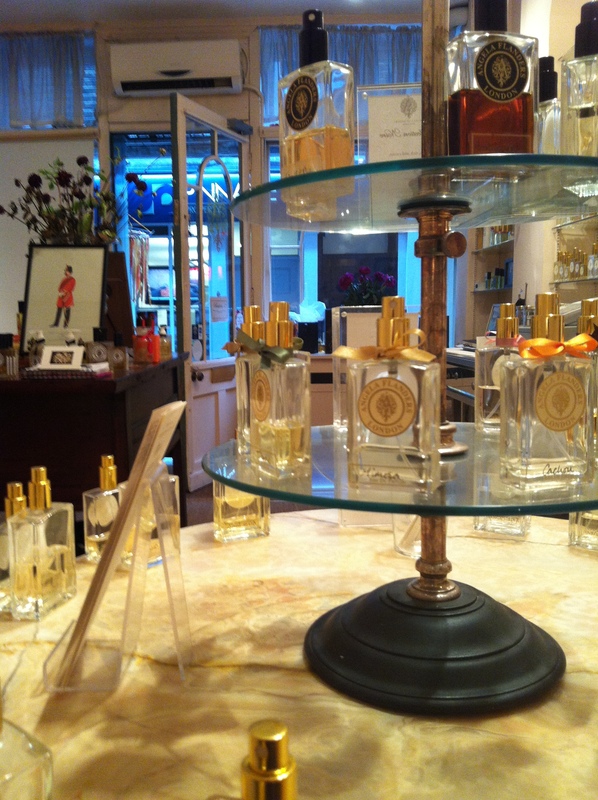 To celebrate World Smell Day yesterday I made myself an appointment to explore Angela Flanders’ range of perfumes at her boutique on Artillery Passage in Spitalfields. Although I had read much about Angela’s fragrances I had never ever actually been to her shop in Spitalfields so today being World Smell Day seemed like the perfect excuse for a trip to East London. I met with Rachel, who works at the boutique, and she was a fantastic guide in helping me to get acquainted with the line. She was super knowledgeable and really down to earth and lead me through sampling the fragrances. There is something about taking in scent with another person that I always find to be a bit of a bonding experience.